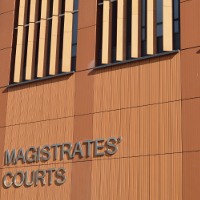 A South Wales man has been ordered to pay £300,000 at Cardiff Crown Court for continuing to work as a security director despite having lost his Security Industry Authority (SIA) licence. “Billy Jones showed a deliberate disregard for the licensing regime, and has paid a very high price for his criminality. He worked as an unlicensed director for a prolonged period, and did so while serving a sentence for another offence.